1 figure = 200,000 voters. All numbers correct on 1 March. Can Mansur Yavaş win in Ankara? Melih Gökçek, serving his fourth term as Ankara mayor and nominated for a fifth, is wildly popular in the conservative north of the city and wildly unpopular in the secularist south. 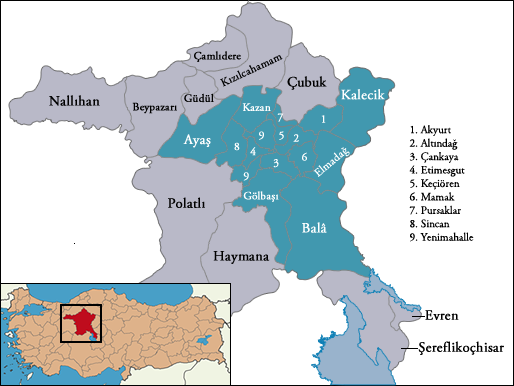 The south, concentrated on the district of Çankaya, has consistently voted against Mr Gökçek. Çankaya was the spot Kemal Atatürk chose to build his presidential palace, but this is not just a traditional, CHP heartland: here, the mayor is less popular than the AK Party. The party – Welfare (RP) in 1994, Virtue (FP) in 1999, and Justice and Development (AK) since 2004 – has consistently performed better in parallel local elections in the district than Mr Gökçek himself. It was perhaps in knowledge of this and the mayor’s divisive personality that Mr Erdoğan considered dropping him head of the 2009 election. But he is well-supported in northern districts like Keçiören, Altındağ and Sincan and has built a strong network of supporters there. Ankara’s north ballooned as it became the focus point for migrants from the countryside over last twenty years. It boasts well-maintained roads and the city’s only working metro. But his strengths in local party organisation are not matched by his managed of major projects. A metro extension project he inherited from his predecessor in 1994 was finally surrendered, incomplete and millions of lira overbudget, to the central government in 2010. “Large projects like these are not the domain of local government,” Mr Gökçek said at the time. The opposition said it was because AK-run councils had proved themselves incapable of delivery. He later provoked a Gezi protest of his own one midnight in October, when council workers turned up unannounced to tear up trees on a university campus’s land to make way for a road. Mr Gökçek’s biggest challenge was winning his party’s renomination over, say, a cabinet minister who faces falling foul of the AK Party’s three-year rule. Now that he is the nominee, barring the unpredictable, he will probably see out a quarter century as the Turkish capital’s mayor. In 1993, Ankara’s popular leftist mayor Murat Karayalçın became leader of his party, which was then junior partner in Tansu Çiller’s coalition government. He immediately resigned the mayoralty to become Turkey’s foreign minister and deputy prime minister – a hefty promotion. 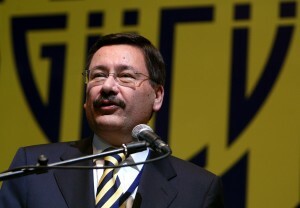 The following year, his party lost the mayoralty to Melih Gökçek. The year after that, his party lost the parliamentary election. Mr Karayalçın never returned to national politics, but he did try and fail in three consecutive elections to unseat Mr Gökçek in Ankara. 2014 is the first election in as long as anyone can remember that Mr Karayalçın running for mayor of Ankara. 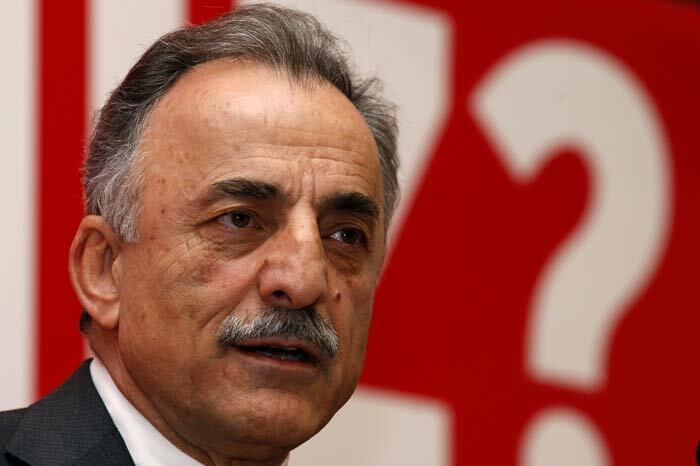 The CHP is reportedly looking for a more conservative candidate to challenge Mr Gökçek, with former Motherland Party finance minister Lütfullah Kayalar‘s name thrown in the mix. Muharrem İnce, an MP for the Marmara Sea town of Yalova, ws another name being considered. 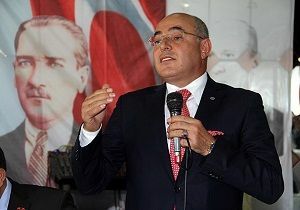 The eventual nominee was Mansur Yavaş, the nationalist MHP candidate of 2009 (see below), who was selected as part of a strategy to field a conservative candidate in conservative Ankara. The Nationalist Movement Party (MHP) did not have a bad election here in 2009. Unlike Istanbul, where the fierce race between the AK Party and CHP pushed the MHP into insignificance, Mansur Yavaş did rather well in Ankara, coming a close third to the CHP’s Murat Karayalçın and winning 27 percent of the vote. Mr Yavaş did declare he wanted to run again, but he has distanced himself from the party following a rumoured falling out with the leader, Devlet Bahçeli, who announced an alternative candidate in late September. He was reportedly courted by the centre-right Democrat Party and far-right Grand Union Party (BBP), but he settled with the centre-left CHP (see above). The MHP announced a huge swathe of candidates on 26 September 2013. On that list was their candidate for Mayor of Ankara: Mevlüt Karakaya, a local accountant and academic with a background in agriculture. The Peace and Democracy Party (BDP) will be contesting the 2014 local elections in alliance with the Democratic Party of Peoples (HDP). Salman Kaya – Songül Erol Abdil will be running on a joint ticket for the HDP in Ankara. Given the city has only a small and politically inactive Kurdish population, they are unlikely to rank highly among the HDP’s target councils. Pro-Kurdish parties have never performed particularly strongly here. In 2009, the mayoral candidate for the Democratic Society Party (DTP, a BDP predecessor) was Hayriye Öncel. She came fifth with just 11,774 votes.